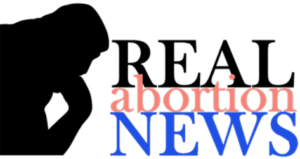 CompassCare – Page 30 – Erasing the need for abortion! Join us for a tour of our facility. Help CompassCare be Mortgage-Free in 2018! Read how CompassCare is transforming women's fear into confidence. Join the team! Invest your time and talent in erasing the need for abortion. Financially partner with CompassCare to erase the need for abortion - one woman and one baby at a time. Virtuous Leadership and a Linear Service Model (LSM) Part 1: As goes the Executive so goes the organization. In the process of both running a medical PRC and helping others to develop and operate their medical PRCs it occurred to me that there are certain questions all of us PRC Executives need to have answered. This seems to be a very stressful season for Pregnancy Center Executives. Not only do we have to make sure that services continue to be provided with excellence, regular communications are written, vendors are paid but add to that a seasonal dip in giving causing anxiety about things like whether or not you’ll make payroll.